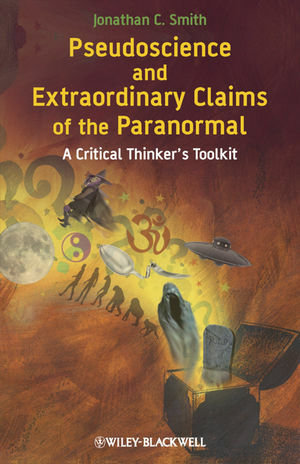 Pseudoscience and Extraordinary Claims of the Paranormal: A Critical Thinker's Toolkit provides readers with a variety of "reality-checking" tools to analyze extraordinary claims and to determine their validity. Jonathan C. Smith, Ph.D., is a Licensed Clinical Psychologist, Professor of Psychology at Roosevelt University, Founding Director of the Roosevelt University Stress Institute, and Head of the Pseudoscience and Paranormal Laboratory. Dr. Smith has published 17 books and has written numerous articles on stress, relaxation, meditation, and mindfulness, as well as spirituality and skepticism. In 1984 he founded the Roosevelt University Stress Institute primarily to combat pseudoscience in the field. He has created classroom and online classes specifically designed to teach critical thinking skills and evaluate extraordinary claims of the paranormal.